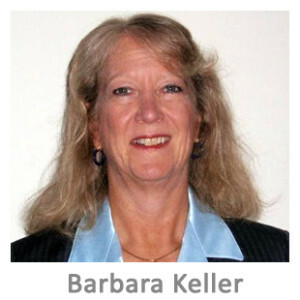 Barbara Keller is an Independent anti-money laundering/financial crime consultant with BIKConsulting providing consulting services on financial institution compliance with anti-money laundering/counter the financing of terrorism (AML/CFT) regulatory requirements. Barbara served as an Intermittent Economic Crimes Advisor on contract with the Treasury Department’s Office of Technical Assistance. She has over 30 years of experience in the performance auditing, program evaluation, and anti-money laundering/counter financing of terrorism (AML/CFT) fields. Her experience includes performance audits in the financial institutions and markets, AML compliance and enforcement, international trade and finance, and international affairs areas; and Bank Secrecy Act administration. She spent over 15 years in management positions in the legislative and executive branches of the U.S. government—11 years as an Assistant Director with the U.S. Government Accountability Office (GAO) from 1983-2009 and 4 years as a Senior Executive at the Financial Crimes Enforcement Network (FinCEN) in the Treasury Department from 2009 to 2013. She is a member of the board of directors of Women in Housing and Finance and the US Capital Chapter of the Association of Certified Anti-Money Laundering Specialists. She has a MA, public administration & international affairs from the University of Virginia and a BS, languages and linguistics from Georgetown University.